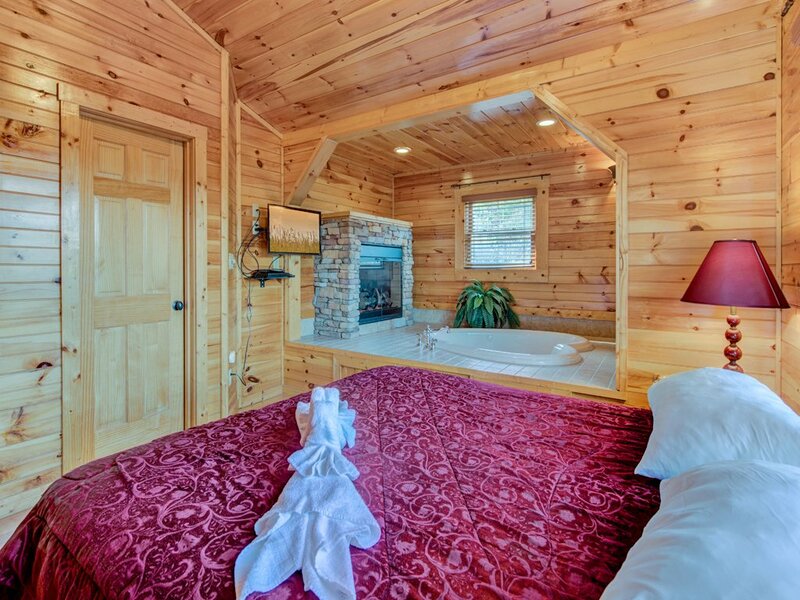 With a bedroom that includes both a heart-shaped Jacuzzi and a fireplace, Magic Moments II is made for romantic getaways. 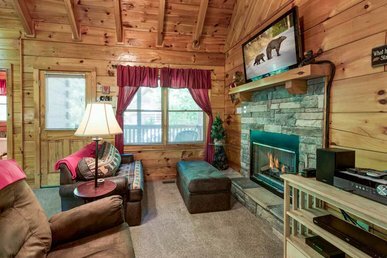 But because the 1-bedroom cabin includes a sofa that converts into a queen-size bed, it’s also a delightful, conveniently located option for a family of up to 4. 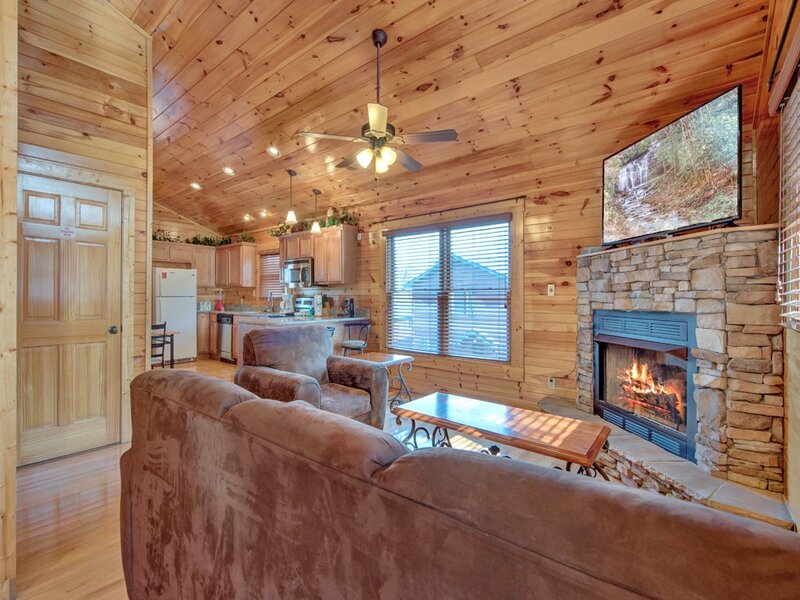 Located in the quiet Hemlock Hills community in the foothills of the Great Smoky Mountains, Magic Moments II was designed with relaxation and romance in mind. 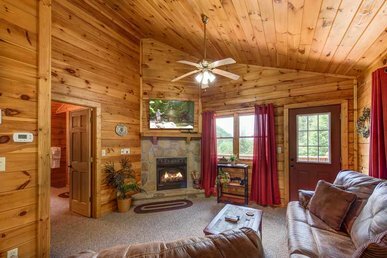 Wood-planked walls and floors, a sloped ceiling, and a stacked-stone fireplace make the living room a place for stretching out and taking it easy. 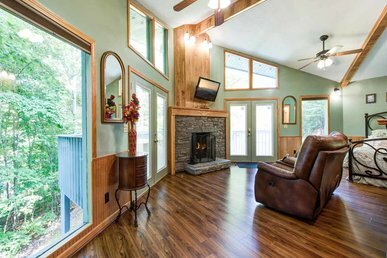 Whether you sprawl out on the plush sofa to watch a movie on the large flat-panel TV, nestle in the armchair with that book you never have time to read at home, or treat yourself to a nap beneath the gentle breeze of the ceiling fan, you’ll feel blissfully removed from the everyday. The breakfast bar, which seats 2, is a handy spot for surfing the web via the free WiFi. 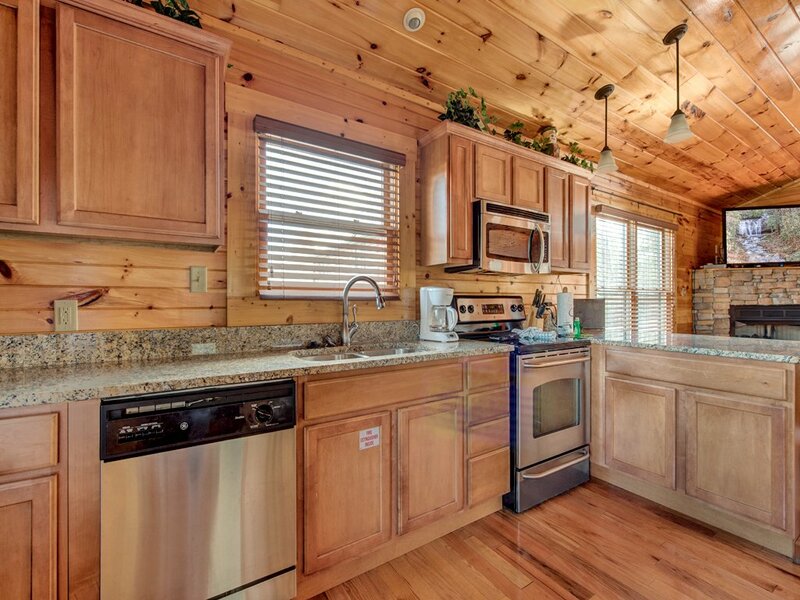 Or one of you can perch there mixing batter while the other heats up the pan for whipping up a batch of pancakes in the fully equipped kitchen. While there are plenty of restaurants to choose from just minutes away, sometimes it’s more restful—and romantic—to dine in. That’s why the kitchen has all the appliances, gadgets, cookware, and tableware you’ll need, whether you’re preparing a gourmet feast or simply mixing margaritas to enjoy out on the deck. 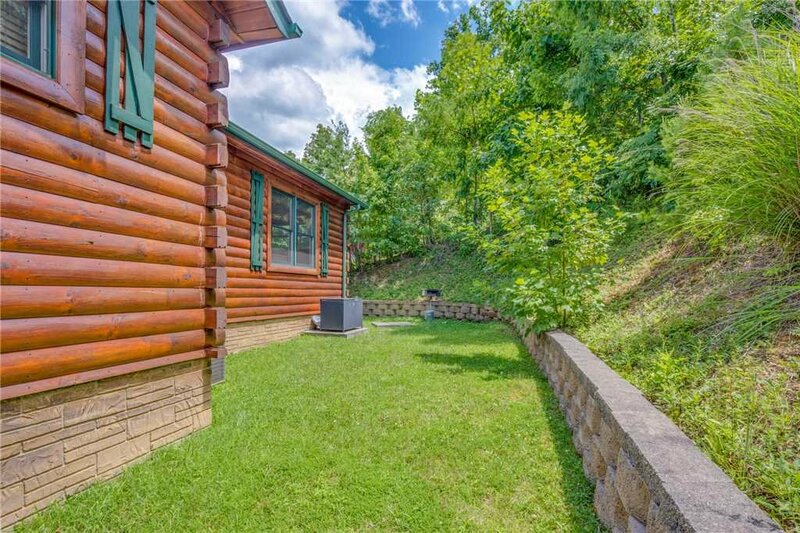 You’ll find a grill outside too, so you can enjoy a home-cooked Smoky Mountain barbecue. 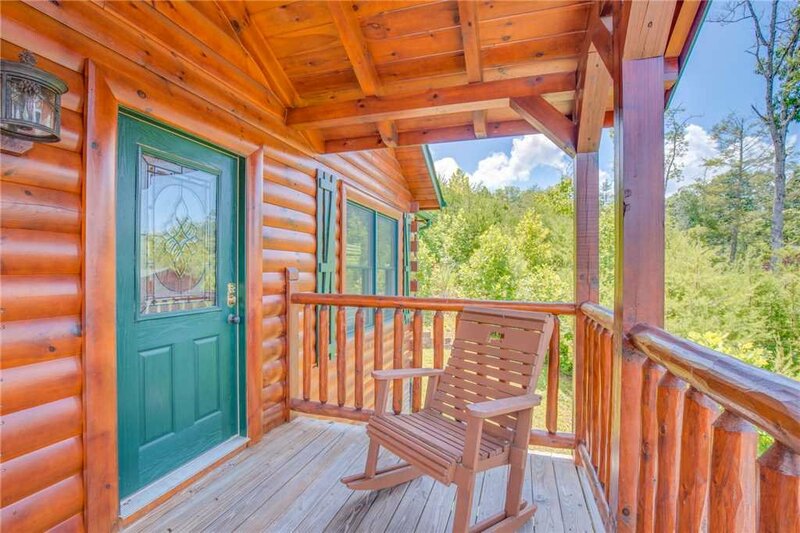 You might find yourself spending much of your time on the spacious covered deck or in the yard. 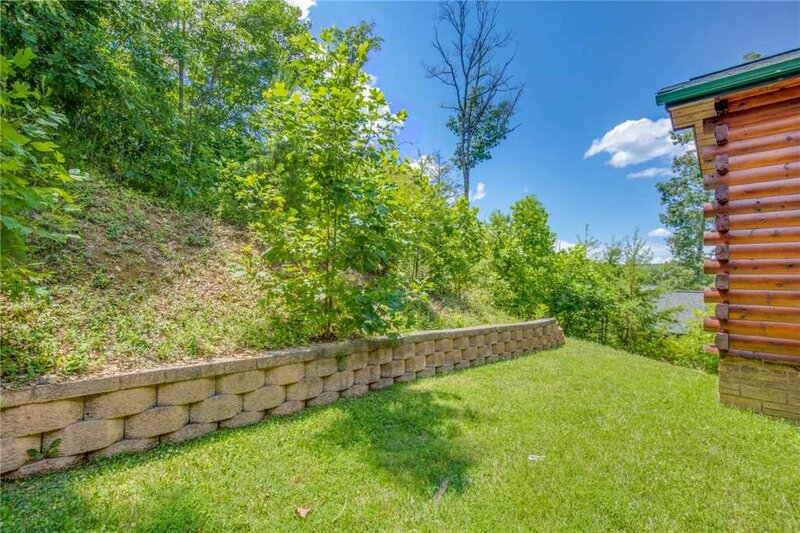 When you’re not enjoying a sunny picnic on the well-manicured lawn, you can kick back on a deck rocker and watch the trees sway in the mountain breeze as birds chirp and trill. 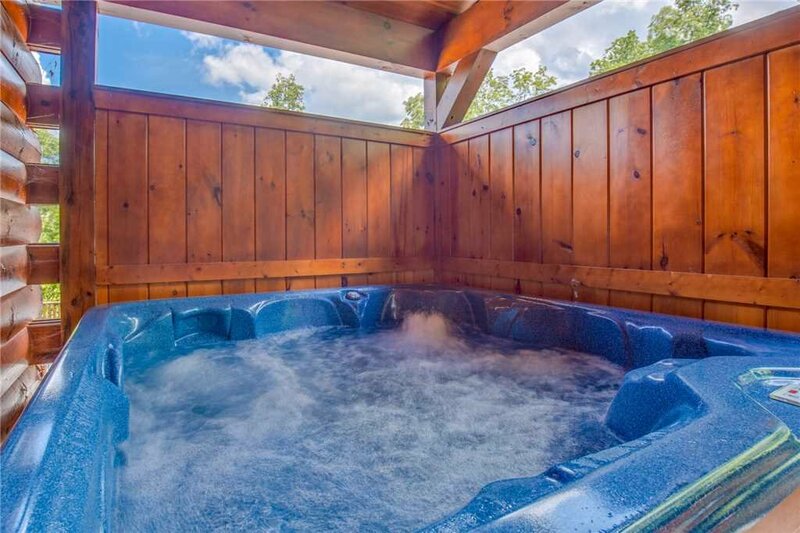 Or you can laze in the deck’s hot tub; it’s especially rejuvenating when you return from a day on the slopes or the hiking trail. 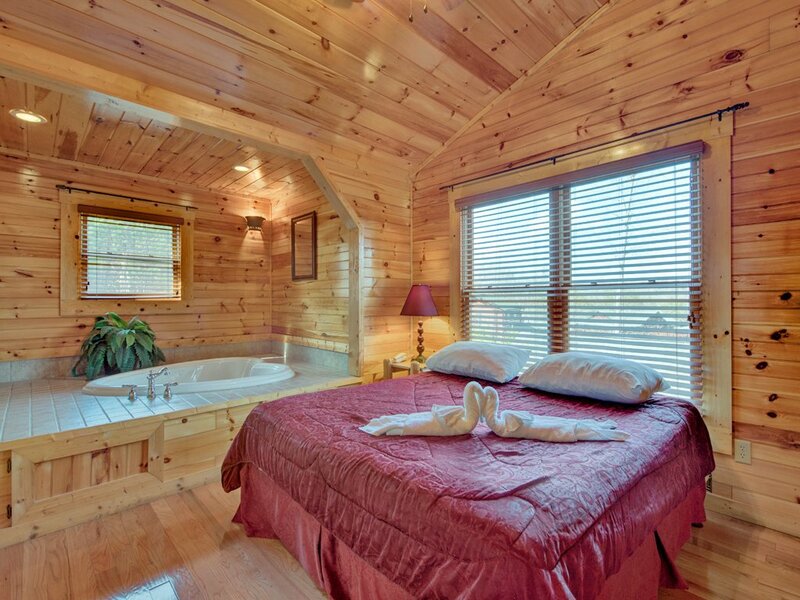 Back indoors, you’ll love luxuriating in the en-suite bedroom. 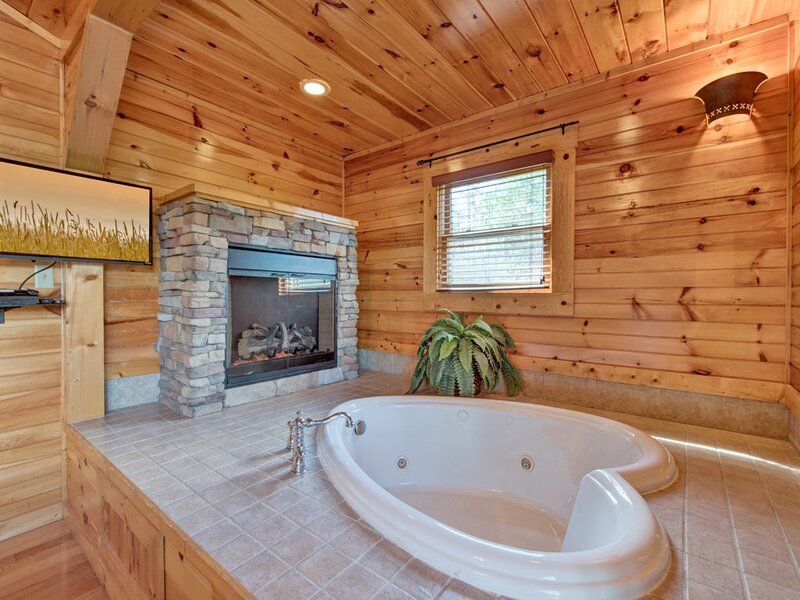 Here’s where you’ll find the large heart-shape jetted tub, along with a 2nd stone-surround fireplace. 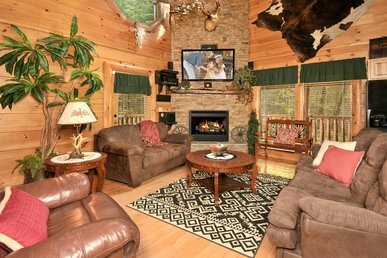 While the warming fire bathes the room in a golden glow you can watch a movie on the bedroom’s flat-screen TV or listen to the crickets serenade you from outside the window. From the tub it’s just a few steps to the king-size bed. You might find yourself turning in early and staying in bed late, simply to revel in the bedroom’s cocoon of luxury. 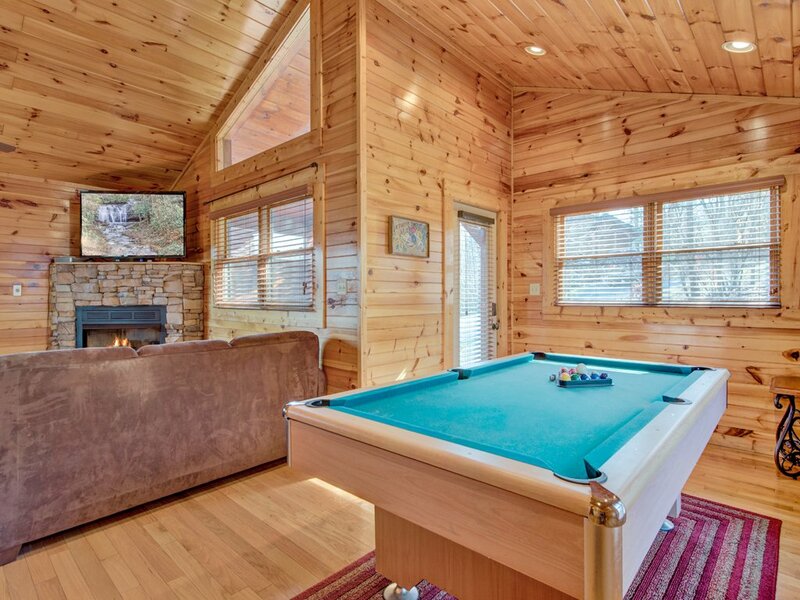 Whether it’s just the 2 of you or you brought the kids along (don’t forget about that queen-size sleeper sofa in the living room), you’re sure to enjoy the cabin’s full-size pool table. If you’ve never played before, here’s your chance to learn—and then you can surprise your friends when you return home! Once you stay in Magic Moments II you’ll want to return again and again—it really is that magical. Let yourself fall under its spell; book your stay today. The property was very nice. 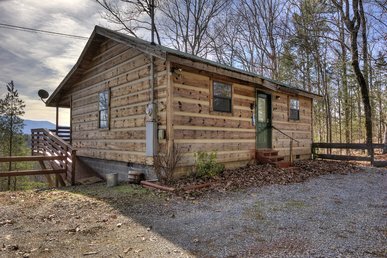 The cabin was the perfect size for my wife and myself. The cabin was not very clean when we arrived. There were dirty sheets and towels in the whirlpool tub when we got there. There were no sheets on the master bed. The counters were dirty. The floors needed to be sweeper. Bathroom vanity was filthy, with hair dirt, etc. This was in the reviews that we had read on-line. Maybe someone needs to check behind the cleaning crews before next guest arrives. But overall we were satisfied with our stay. This was one of the best vacation I have been on! 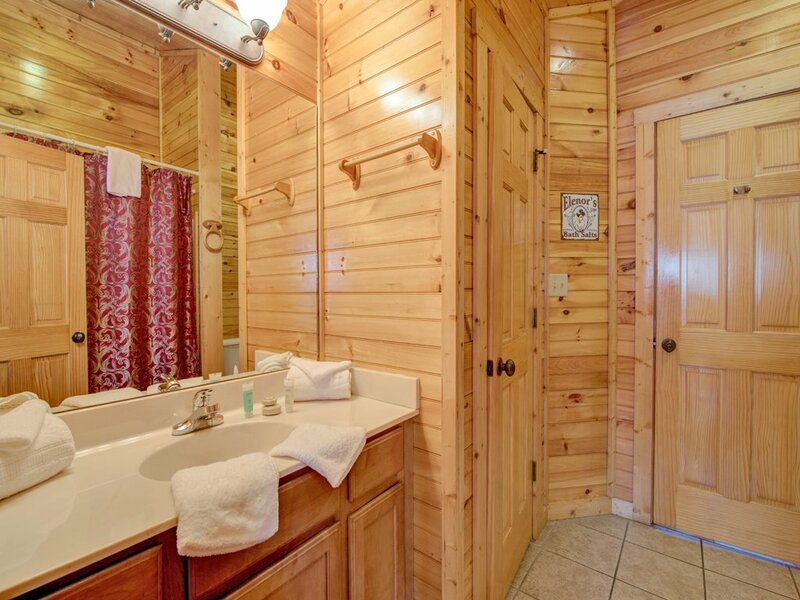 The cabin is exactly like the photos. 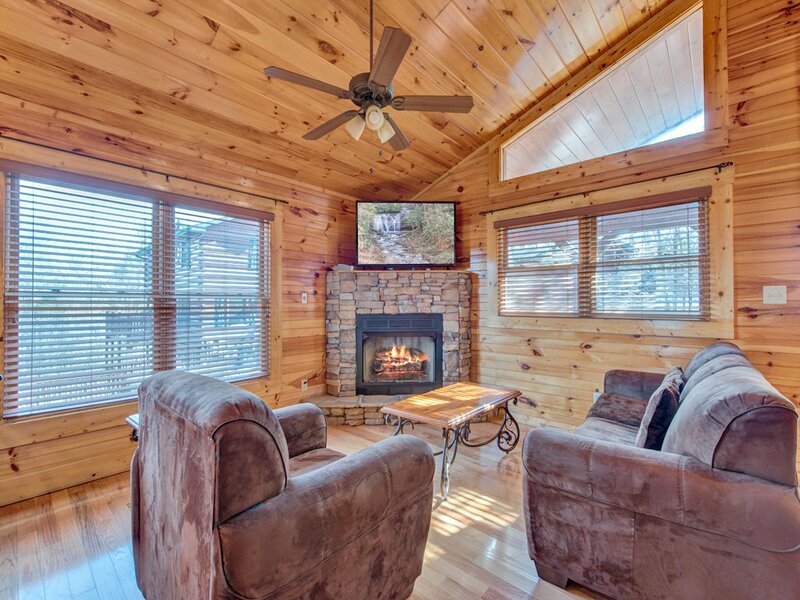 Cozy, Relaxing, and definitely romantic! I would recommend it! Downtown was five miles away,we ate at Peddlers Steakhouse!The food and Service was terrific! 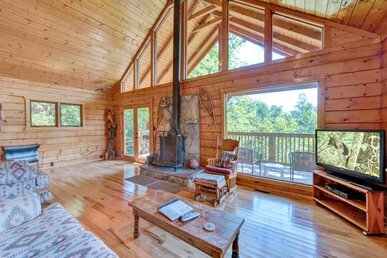 Very nice location and cabin. That being said there are a few maintenance and cleaning improvements that could be made if I'm honest. Loose faucet handle on the tub, broken pool cue holder clips, cobwebs in bathroom, very slick shower stall floor, and back door needing adjustment to lock deadbolt. I'd like to mention these are VERY minor issues but it'd be a perfect experience otherwise. Cabin was perfect for us two. Very nice and comfortable. The experience however was not great. Parking space barely fit our car. Kids running and screaming through our yard. Couldn't get in hot tub in peace. No quiet time at all. Kids hollering until way into morning. Overall we loved this place, and will definitely stay there on our next visit! My only complaints were the bed and the parking. I sure hope there's a better mattress on our next stay... the one there is awful! The parking... well I know there's not much that can be done about it now, but whoever designed it... I bet they'd never want to park on that slope that they made! 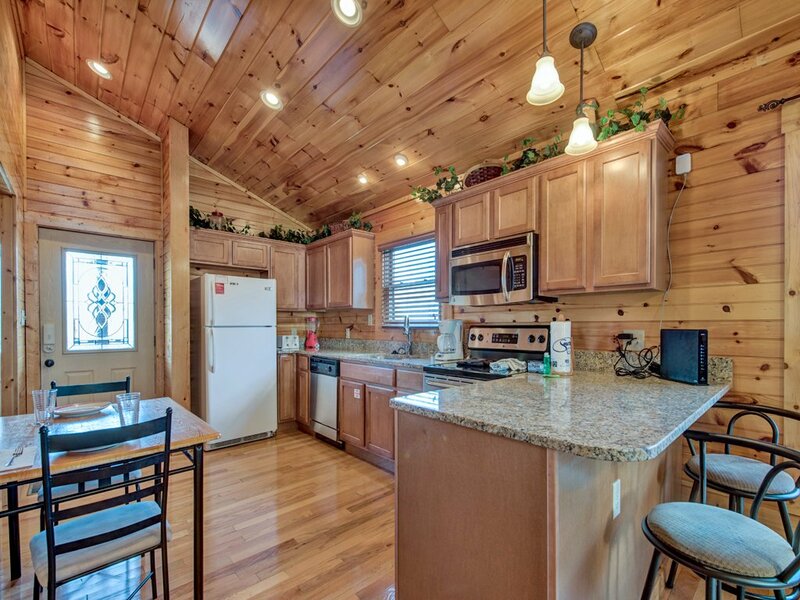 Absolutely loved everything else about the cabin though! The heart shaped tub was my FAVORITE! Everything we needed was there for us! The back door is very hard to lock and needs checked. Thanks you for making our vacation so special! We stayed here for 1 night on an anniversary trip. We weren't thrilled about the steep incline of the small parking space. The secondary entry door would not lock, and after inspecting, we found we just had to pull the door up until the lock would seat. 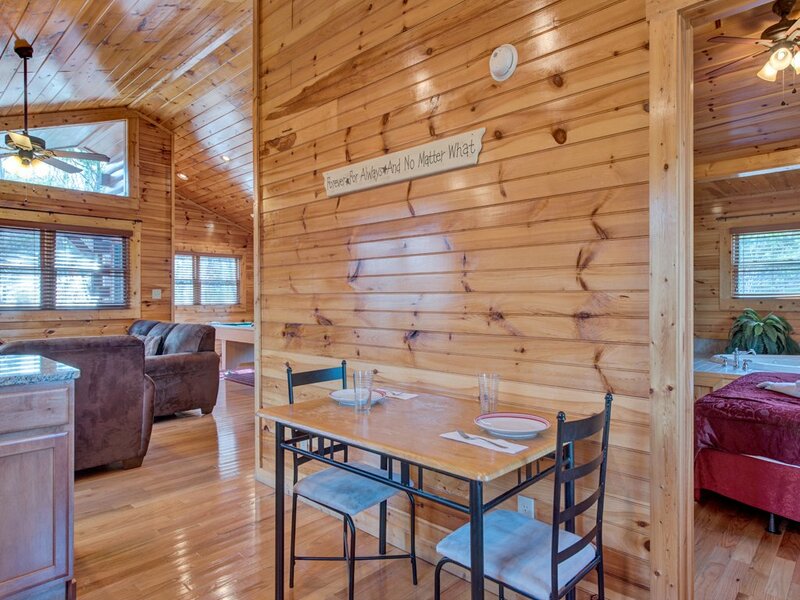 This cabin is in a group of cabins, so if you are looking for secluded, this is not it. It is also not very high up. The listing says that ut can sleep up to 4, but there is only a king size bed. The other bed is in a pull out couch, which was not an issue fir us because we did not have any other guests. 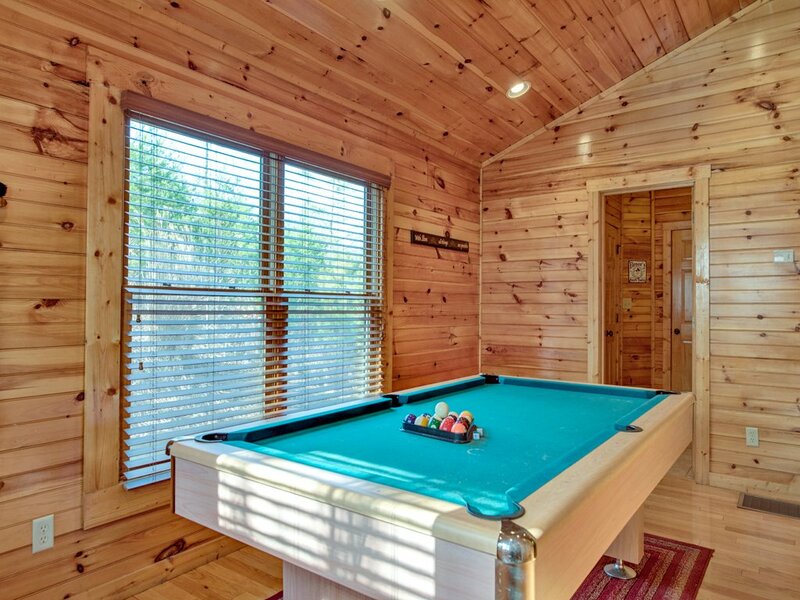 With all that being said, this is a beautiful cabin with a hot tub and pool table and that far outweighed the cons. 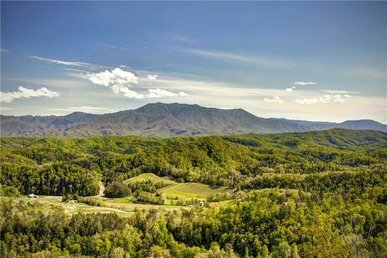 It is also just minutes from a grocery store and Gatlinburg. 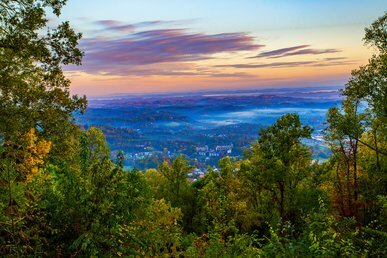 We enjoyed hosting you for the one evening during your recent trip to the area! The property can sleep 4 (two in queen-sized sleeper sofa, 2 in king-sized bed). 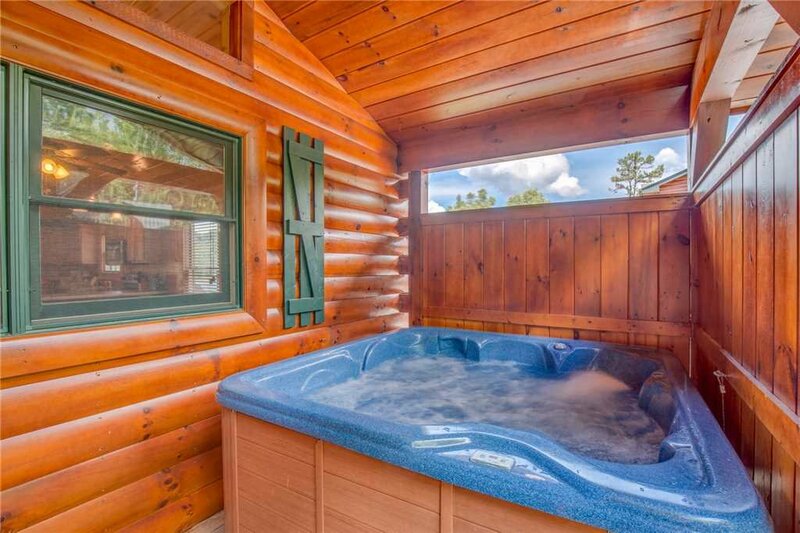 We are happy to hear you enjoyed the location, hot tub, and pool table. :) Come back soon! We had a fantastic time! 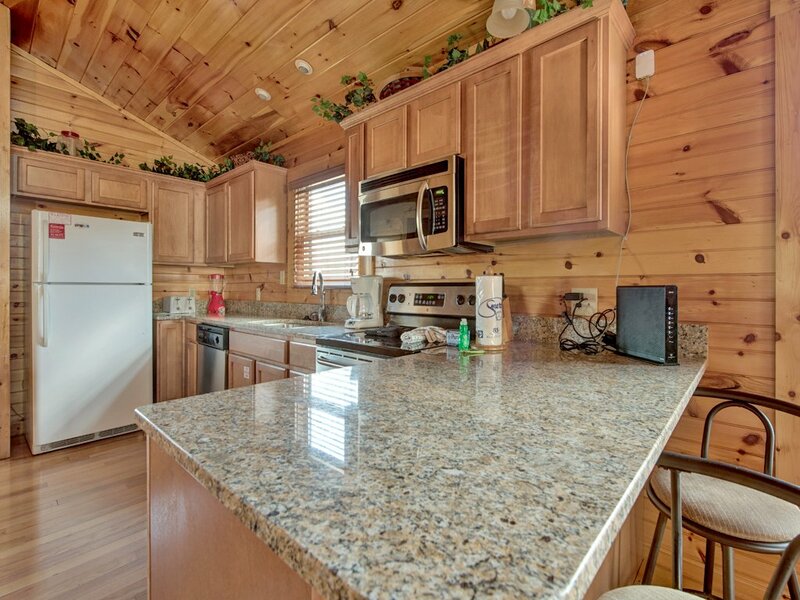 The cabin is in a quiet area yet close enough to the national park and other attractions. We would definitely stay here again! 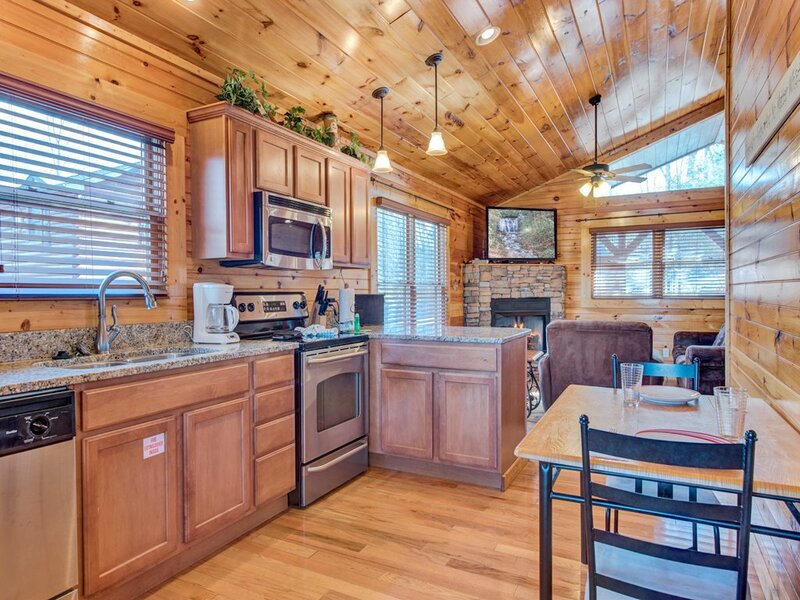 Thanks for the five-star rating and positive comments regarding the property and location. We hope to host you again in the near future! Nice and beautiful place. Enjoyed every moment. Thanks for the five-star review and glowing review! We appreciated you choosing us for your recent vacation - come back soon! Just went for a few days. The cabin was great. Everything we wanted. Thanks for the five-star rating and positive comments! We hope to host you again in the near future. We really enjoyed the accommodations! This cabin was very spacious and comfortable! Loved the fact that the driveway was level:) Jetted tubs in both bedrooms were a big surprise! My brother married the girl of his dreams the weekend we stayed. 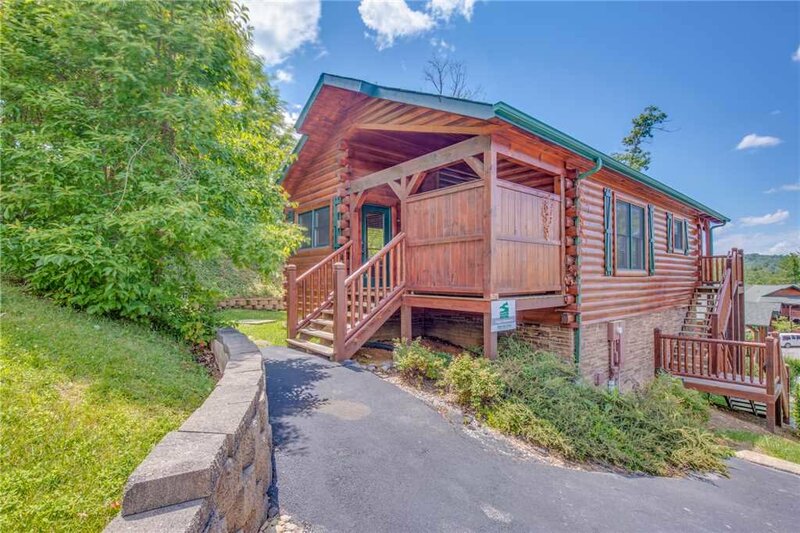 This cabin was in very close proximity to the wedding site. 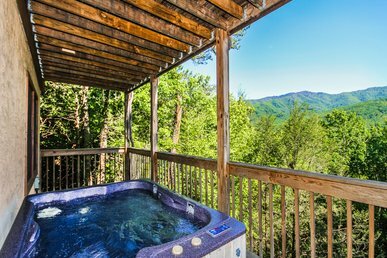 We will definitely stay here the next time we venture to Gatlinburg. Thank you for the positive review and five-star rating! We love the location too. Come back soon!